Did Barack Obama really save this country from another Great Depression? Did he really improve our country's image around the world, or unite America? What about the new era of post-partisanship and government transparency? Did he really expand health coverage while lowering costs and cutting taxes? 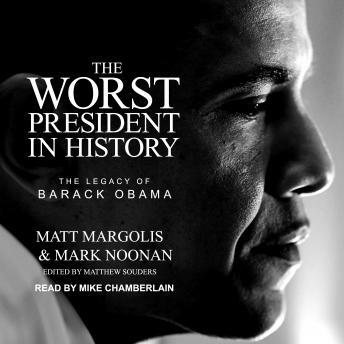 The Worst President in History: The Legacy of Barack Obama compiles 200 inconvenient truths about Obama's presidency-the facts that will shape his legacy: His real record on the economy; the disaster that is Obamacare; his shocking abuses of taxpayer dollars; his bitterly divisive style of governing; his shameless usurping of the Constitution; his scandals and cover ups; his policy failures at home and abroad; the unprecedented expansion of government power . . . and more.